Most air conditioning systems come with an optional ongoing service plan. Too many homeowners try to save a few dollars by opting out of what seems like an extra fee without understanding the importance of these plans. Montgomery Heating and Aire has provided expert air conditioner repair to Mountain Home, AR, residents for over 15 years, and they recommend ongoing service plans for their clients. 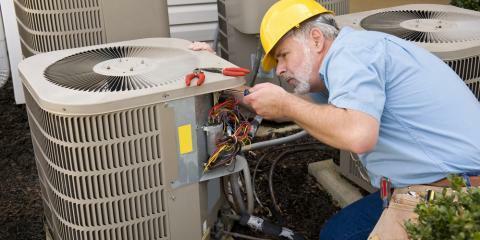 At the most basic level, ongoing service plan agreements are contracts between the HVAC installation provider and the homeowner that guarantee all maintenance and care for a period of time. While the specifics of the agreements can vary from company to company, most packages include yearly inspections and tune-ups, simple repairs, and parts required for repairs. Signing up for ongoing service benefits you in a number of ways, which include savings in time and cost. By ensuring your AC unit is regularly maintained by an experienced professional, you’re increasing energy efficiency and decreasing utility bills. These monthly or yearly tune-ups guarantee the system is kept clean, free of debris, and working at optimal efficiency levels. Beyond the tangible benefits of an ongoing service plan, you can be at ease knowing your system is regularly inspected and problems are spotted before they turn into a crisis. You can sleep better knowing your home and your family are safe. Lastly, these plans and the care they provide increase the durability and lifespan of your air conditioning unit. Get the most out of your air conditioning system with ongoing service plans to ensure your unit works efficiently, safely, and reliably year after year. Call (870) 435-1501, or visit the Montgomery Heating and Aire website to learn more about the company’s ongoing service agreements.